save 25% on all paper patterns with our biggest sale ever! 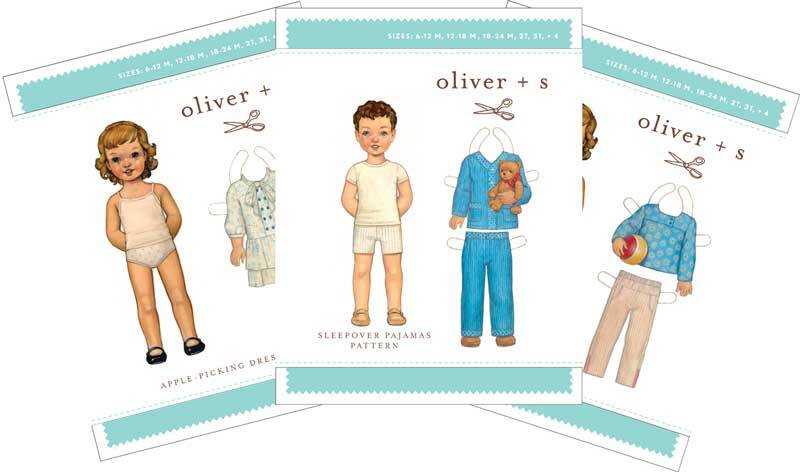 Now through January 20, 2012, you’ll save 25% on all Oliver + S paper patterns purchased from our website, including our most recent styles for this season. Why not use this as an opportunity to stock up on the Oliver + S patterns you have always wanted but don’t yet have. To receive your savings, use coupon code Jan2012 at checkout. Here’s the fine print (since we always get questions): the discount applies to paper patterns only and is not available on past orders. Coupon must be used at checkout for the discount to be applied. The coupon expires at midnight (EST) on Friday, January 20, 2012, so don’t wait until the last minute to place your order! Yay. I just placed my order. Can’t wait to start sewing for summer time. Usually, due to import constrains, I can only include 2 patterns within the same order. Now, I’ll be able to stock on some bigger sizes and get ready for summer sewing (while saving on intl postage, as well). So upset I only saw this today ! !